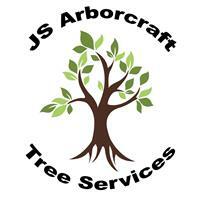 JS Arborcraft Ltd - Tree Surgeon based in Boyn Valley Road, Berkshire. Professional tree surgeons offering work of the highest quality in all aspects of tree care. Over a decade in the industry I am fully NPTC and LANTRA qualified and comprehensively insured with £5m public liability and £10m employers liability insurance. Free quotes, advice and checks done with the local authorities. Friendly, reliable and trustworthy service at very competitive prices. All work carried out to BS3998 standards using high health and safety practices. All types of tree work carried out including crown reduction, crown thins, tree dismantles, tree felling, deadwood removal, pollards, dangerous tree removal, high hedges, emergency call outs and stump grinding. Utmost respect given to customers properties. All waste is recycled.